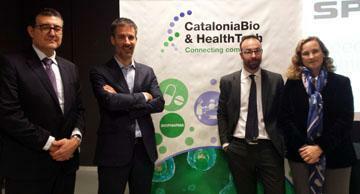 CataloniaBio & HealthTech has chosen its first president and board of directors last 8th February, after the merger of the CataloniaBio association of companies and the HealthTech Cluster, at an extraordinary members’ assembly. The candidacy led by Jaume Amat, founder and CEO of Specipig, took 65% of the votes. The other members of the board led by Amat will be Lluís Chico, managing partner at NEOS Surgery (first vice-president); Maribel Bergés, co-founder and CFO of Spherium Biomed (second vice-president), and Àngel Alonso, CEO of Vecmedical (third vice-president). The voting members include Isabel Amat (Reig Jofre), Albert Giralt (Avinent), Alfons Nonell-Canals (Mind the Byte), Montserrat Vendrell (Alta Life Sciences) and Lídia Cánovas (Asphalion). Jaume Amat has been on the board of directors for the CataloniaBio association of companies since 2014.